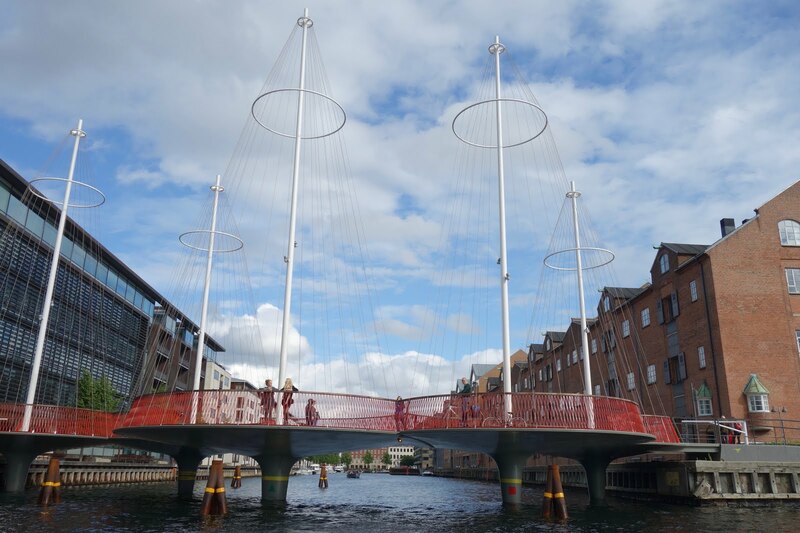 Copenhagen takes no time to rest when it comes to the bicycle, just months after officially kicking off Havneringen, the Harbour Circle project, the route is now complete upon the opening of Inderhavnesbroen, Copenhagen’s newest pedestrian and bicycle bridge. The Harbour Circle only further showcases the city’s commitment to innovative bicycle infrastructure investments. In fall of 2016 the Circle will officially open, a 13 km recreational cycling and pedestrian path lining Copenhagen’s scenic blue harbour and the natural greenery of the city's south side. In recent years Copenhagen has taken strides to connect the city by bridging points along the harbour. The Harbour Circle will serve as a channel for both tourists and locals alike to easily access some of the city’s most notable sites. Stop for ice cream along Nyhavn, swim and relax at Islands Brygge, or stroll through the lush greenery at Amager Fælled. The point of this path is to highlight and connect the many great things around Copenhagen, as it runs through 12 distinct areas of the city. Displaying the clear water of Europe’s cleanest harbour, and granting new access to both historic sites and new architectural gems. Adopted by the city budget in 2014, the Harbour Circle project officially kicked off just months ago, in May 2016, complete with a bicycle parade, concerts, food, and kayaking in the harbour. Set for completion in late 2016, the Harbour Circle is part of a much larger goal to link the city with all parts of the harbour, independent from the car. Multiple bridges have been built in this recent effort, beginning in 2006 with Bryggebroen, the first new connection between the district of Amager and Copenhagen in centuries. Prior, only two bridges existed connecting the highly populated Christianshavn, and further to Amager. 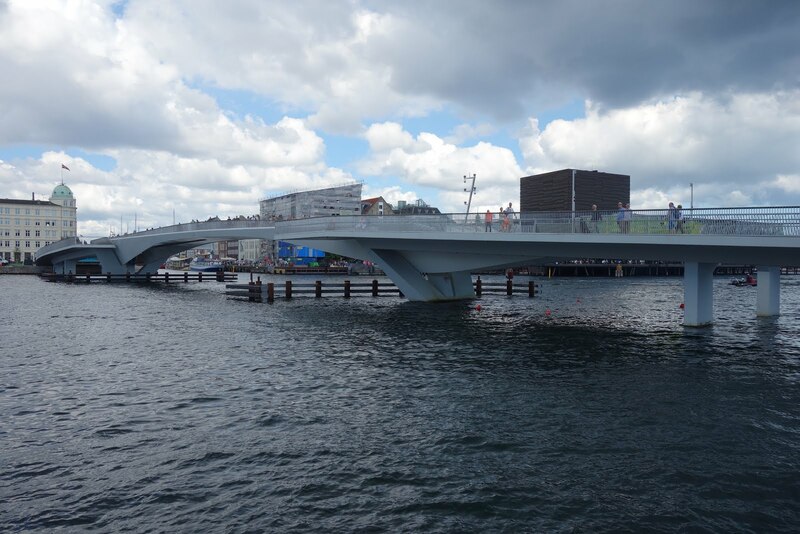 While some of the new bridges are to be funded by the municipality, Danish foundations are footing the bill for others. Newly created bridges are strictly for pedestrians and cyclists, in an effort to discourage the car and further improve the walkability and bikeability of the city. The Harbour Circle leads through a diverse range of landscapes. Funding for this 13 million kr. project comes from both the Copenhagen Municipality and the National Bicycle Group. The Harbour Circle project includes three main components, the most significant is to build infrastructure such as bike paths and a temporary bridge. Further funding is set to place signs throughout the route providing information about each site and to guide people on their journey. Lastly, efforts are made to establish partnerships to market the route to locals and tourists. The Harbour Circle project is another endeavor to create a vibrant, life-sized city that will attract people into the city, adding to the diversity and liveliness of the downtown. The creation of the Harbour Circle will tie the city closer and allow everyone access to many of the destinations Copenhagen has to offer, yet another effort to assure its claim to fame of Copenhagen as a bicycle destination.